There are many things to be gained from flying in winter, from improving your skills to the potential of an epic flight. Flatland pilots need something to look forward to during the dark days of winter. Colin Weyman uses his experience of flying at Old Sarum to illustrate how it is possible to find topographical features near enough to your airfield that could enable you to double, or even treble, your average flight time. Finding the best lift is the subject of this issue’s Ask the Coach feature, where Tony Cronshaw asks coach Kevin Atkinson to explain how streets behave in the presence of wind shear and inversions. The British Gliding Team experienced some epic and challenging flying conditions during the Junior World Gliding Championships in Narromine, Australia. Club Class World Champion Tom Arscott says he achieved far more than he had dreamt possible. Tom achieved his first 500km, Gold height, three day podiums, his first comp win and, most importantly, the title of World Champion! You don’t have to be racing along streets at 12,000ft, as they did in the Junior Worlds, to use oxygen during a flight. You need it to stay fresh and awake, flying at height anywhere. It will help you on the better UK thermal days and certainly in the wave flying such as we see on the Ladder in Wales, Scotland and the North East. With advice that older pilots should use twice the oxygen supply recommended for fit young people, John McWilliam’s article is essential reading. Good knowledge of how and when to use oxygen is beneficial if you plan to fly in the French Alps. Puimoisson is a gem of a gliding site not yet discovered by many UK pilots, which offers new gliding opportunities on a relaxed, but very efficient site in a beautiful part of France. The airfield is midway between St Auban and Fayence, and lies just north west of Lac St Croix, sitting at 2,500ft amsl on the Plateau de Valensole, famous as the world’s capital for beautiful lavender fields in bloom from June to mid-July. Also in this issue: Mark Dalton faces a trial by fire when he volunteers to help with a retrieve from a sorghum stubble field. 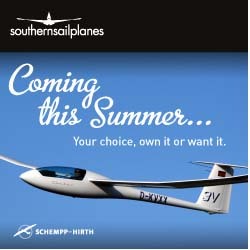 Matt Cook asks are comps for you?, with some of the UK’s top pilots revealing why they value competitions. David Innes shares another insight into his professional and gliding past. 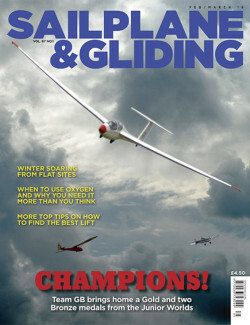 Dave Bromley reviews Kevin Atkinson’s book Gliding in Lift & G-SINK. Robbie Robertson reviews Soaring Flight, a book of Peter Lanyon’s gliding paintings, published to accompany a major exhibition of the artist’s work. Justin Wills reflects on retrieves ancient and modern. Dave Latimer reports from the 2015 BGA Club Management Conference. 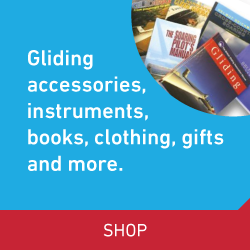 Bruce Stephenson describes an American gliding vacation with a difference. Chris Fox and Ed Downham look at themes emerging from Airprox involving gliders from 2014-2015. Plus there are many more of yourstunning images in the Gallery pages.